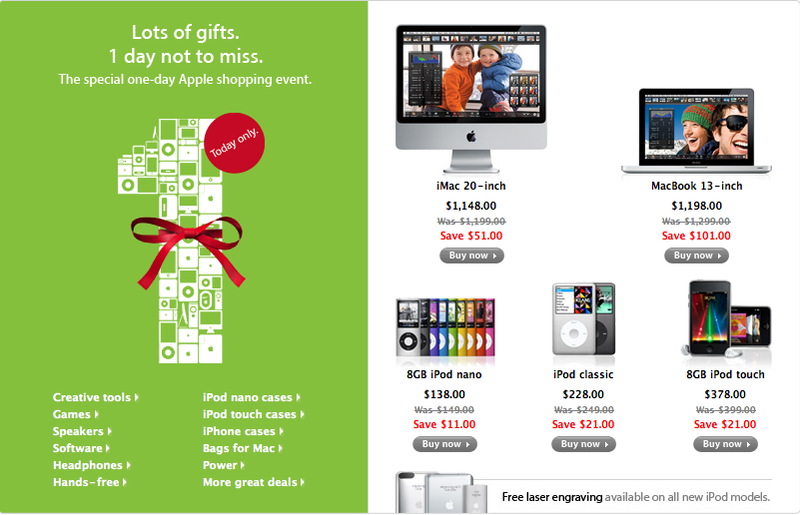 The Apple Store US has published the same worldwide discounts on the 20-inch iMac, the 13-inch Macbook, the 8GB iPod nano, the iPod classic, the iPod touch, Time Capsule, Apple TV, and other Apple gear. The best deals, however, are some steeply discounted third-party products, like Microsoft Office 2008 Special Media Edition with $250.00 off its price tag. Update: Find the best handpicked deals after the jump. • The aforementioned Ultimate Survival Guide. • How to set up that new HDTV you just got.